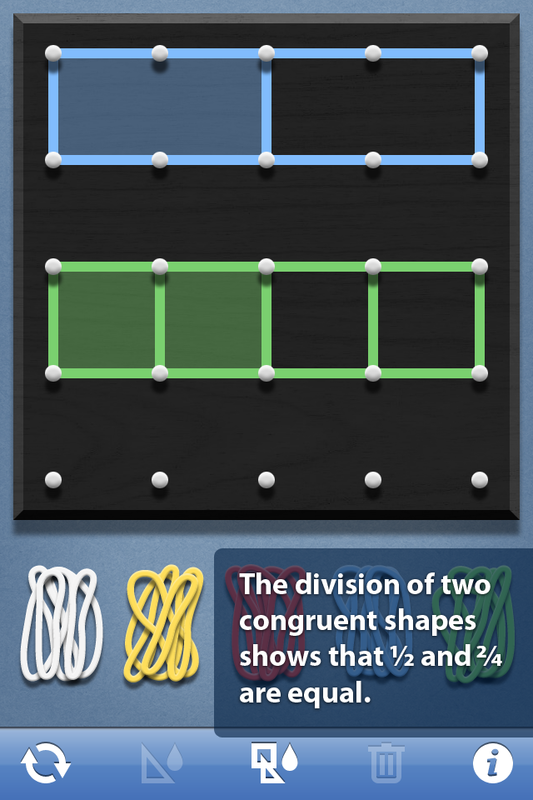 Geoboard is an interactive tool that reinforces what the student has learned in class. This virtual tool is a wonderful addition to a classroom’s work with geometry but is also great for kids students to build geometric figures and explore their characteristics. This virtual version of the manipulative is an open-ended educational tool, ideal for elementary classrooms and other learning environments that use iPod Touches, iPhones, or iPads. If you would like to test out the app on your computer first click here . The app is fantastic classroom tool because it lets pupils explore, collaborate and explain the relationships between the shapes. How to solve problems of angles, areas and scale. 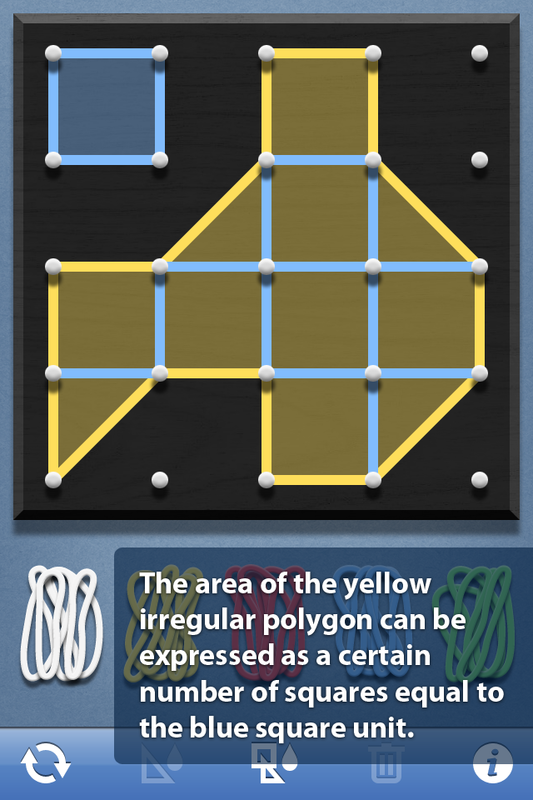 The only downside with the app is that it requires guided interaction so that pupils are practicing the concepts alone. 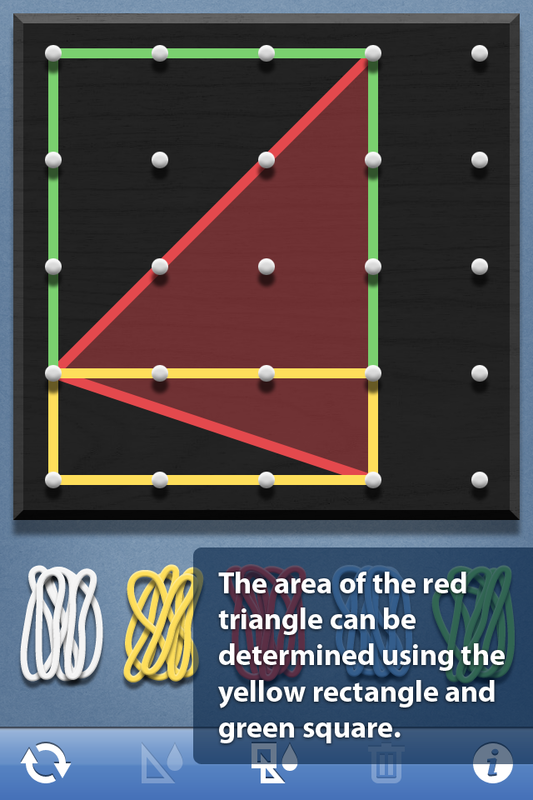 The app is a more "show and tell" tool for supervised use so that teachers can pose questions and let pupils explore the answers using the simulated elastic bands on the toggles. 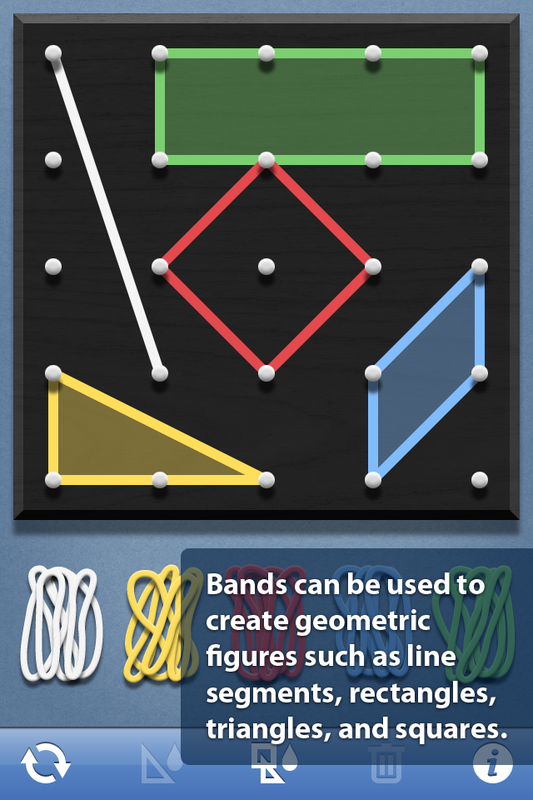 Create line segments and polygons by stretching bands around the Geoboard’s pegs. Choose from 5 different band colors; 8 band colors on the iPad. Fill individual shapes with a transparent color, or use the Fill All button to toggle all the bands between filled and unfilled. 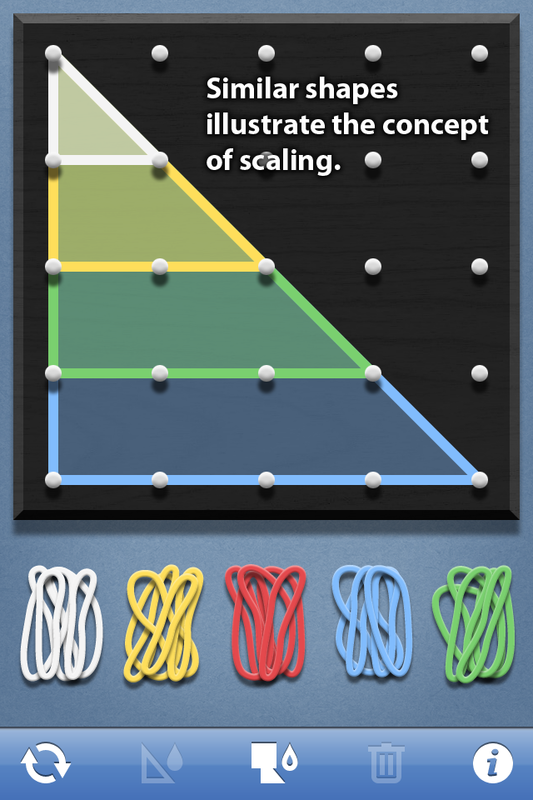 On the iPad, switch between the standard 25-peg board and the expanded board with 150 pegs. The larger board makes it possible for students to create a wider variety of configurations.